Shiva has established herself as one of the most powerful producer / DJs in Los Angeles. Igniting dance floors all over the world for the past 10 years, her dynamic range stomps boundaries and shakes souls. Her roots in music production and theory take her DJ sets to the highest level. Mixing genres effortlessly, infusing UK citizenship with her Middle Eastern roots, she bridges the worlds deepest rhythms with undeniable soul. Shiva is a force for any dance floor. Her intuition and talent for tuning into any crowd has come from her years of honing her craft and holding down numerous residencies all over LA, from The House of Blues, Viper Room, The Roxy, and Ace Hotel, just to name a few. A prominent taste maker in LA’s notorious beat scene, Shiva was one of the few producers called on to help close out the last month of the infamous Low End Theory. With a one-month residency mesmerizing the crowd with two sets tonight she made her mark on the culture that can’t be erased. Effortlessly bridging the underground to the mainstream, Shiva has been known to play alongside some of the worlds biggest players. Opening up for artists such as CeeLo Green, Nas and Damien Marley, Cypress Hill, Pusha T, Snoop Dogg and many more. She’s no stranger to entertaining a stadium full of YouTube influencers, Google executives, or a room full of world changing thought leaders. Shiva has performed for some of the worlds biggest spiritual teachers and visionaries, including Abraham Hicks, Panache Desai, Michael Beckwith, The Agape International Spiritual Center, Kyle Cease, Peter Diamandis, and XPRIZE. In her precious personal time, she loves to balance the “darkside” with a beam of brilliant light by making meditation music. Inspired by her own wellness journey and passion for personal evolution, Shiva has given birth to RETURN TO SOUND a meditative bass experience. 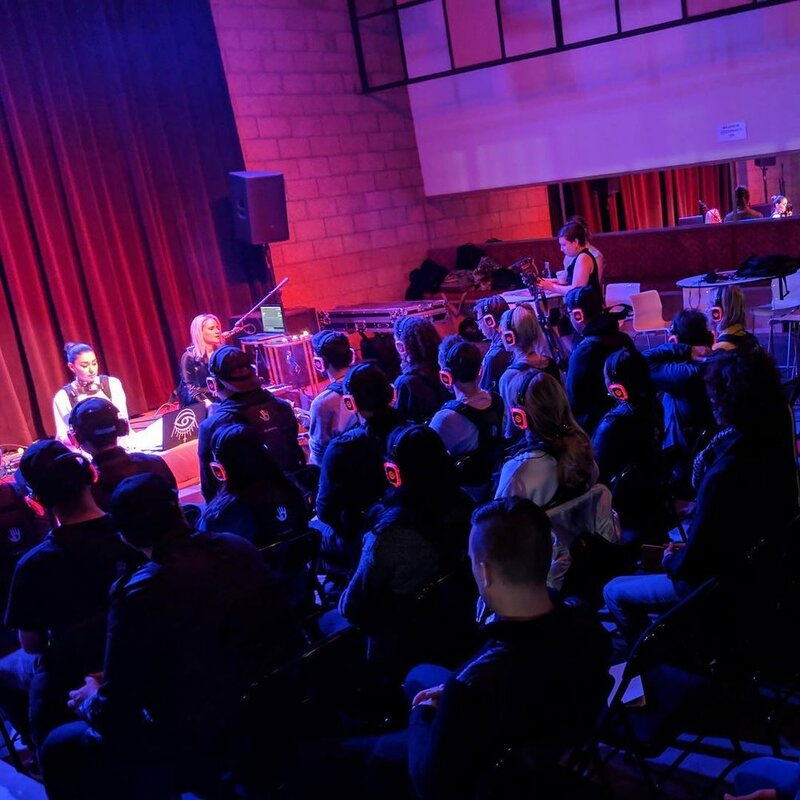 This unique event pioneered in LA involves Shiva’s meditation music in collaboration with Subpac, a wearable technology that pulses sound vibration through your body. Bringing meditation music into a new era with bass as a back bone, Shiva takes you on a fully immersive sonic journey that inspires deep relaxation, trance states, and an opportunity to observe within. Shiva's mixes have often been featured on LA’s top radio stations and blogs around the world. Her “SHAKTI (Vol. 1) Mixtape” topped charts on Mixcloud, ranking 1st in global drum n bass, 3rd in global r&b, 4th in global hip hop and 4th in global electronic charts. Her singles have premiered on Mary Anne Hobbs' BBC Radio show and been played on air by legendary DJs on LA’s beloved station, KCRW. With her signature bass heaving, aquatic heart centered sound, she has inspired a fanbase hungry for more. From the basement to the ballroom, Shiva has grace, grit, and a lot of talent. Wherever she is playing in the world, hearts and minds are moved open.